Try getting honest feedback on your photos. Your Facebook and Instagram friends will be shackled by politeness, while the rest of humanity might just bypass your best shot without a blink. Enter Keegan, the online personal photo coach. Keegan is not completely desensitized. The French startup which created it specializes in automatic image analysis. Professional photographers are behind the design and intelligence of the software. So, you can expect your photos to be rated according to the gold standards of good photographs. Keegan gives 5/10 to a decent photo, 7/10 to a very good shot and 9/10 to an exceptional image. If you want to drill into the details of the criticism, click the Get more feedback button. You can see the aesthetic attributes broken into percentages. I think Keegan got it right for this particular photo. The labels also prove that the artificial intelligence program is also quite good with recognizing the elements in a photo. Upload at least ten photos to allow Keegan to rate your expertise as a photographer. Uploading more photos also gives you a shot at unlocking one of the 17 Achievements or at least an Easter Egg. If your photo scores high enough, share your picture on Keegan’s public hall of fame. Head to your Profile page to see your scores and your achievements. I think the goal here is to encourage you to use Keegan more and help develop its artificial intelligence. Will You Use It to Improve Your Photography? Keegan is a robot. So, mileage will vary and the program will not get it right all the time. 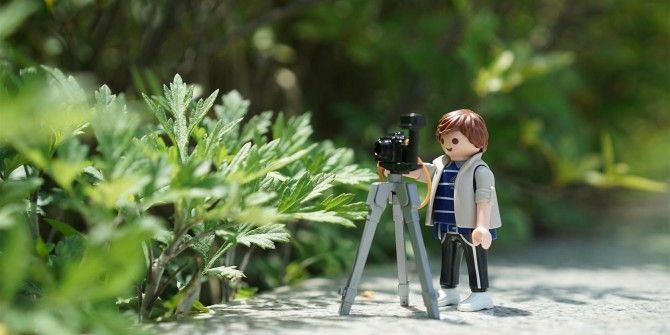 But it is a fun tool to try out for beginner photographers 10 Great Online Courses To Learn Everything About Photography 10 Great Online Courses To Learn Everything About Photography Even if you’re already a competent photographer, one of the best ways to keep improving is to watch online courses. Here are ten awesome offerings from Lynda. Read More . Also, some of the feedback at least will make you think and perhaps show you some creative angle you missed in the moment. Throw at least ten of your best shots at it and tell us if Keegan helped you to pause and reflect.